Bill Sorell served his beloved Sandy Bay Seagulls in the TFL for 23 seasons. He saw them achieve the highest of highs, winning multiple state and regional titles in the 1970s, and then sink to the lowest of lows, as they failed to consolidate their volunteer, supporter and finance base in the 1990s and went into recess. 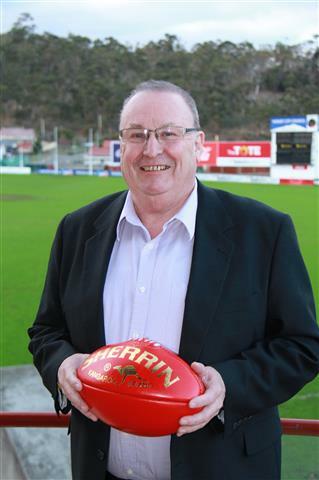 Before and after that crushing blow, Bill Sorell has shown continuous dedication to Tasmanian football. He was drafted into the TFL management structure to demonstrate his talent for football promotion in the finals series of 1984 to 1987. Subsequently he has served on the Board of the TFL and remains a trusted special projects advisor to AFL Tasmania. Amongst many accolades for this tireless volunteer administrator was the evolution of the Sandy Bay Football Club Grand Final Luncheon into the Bill Sorell Sports Luncheon. This well-regarded event has been led by Bill throughout its history and has been a sell-out for many of its 32 years, with more than 700 guests attending annually at Wrest Point.